Welcome to WarcraftPets' first featured Pet of the Month! What is Pet of the Month? Each month, we'll choose and review one pet. We'll provide commentary about collecting the pet and we'll and analyze its battling potential. In conjunction with this, a forum thread will be open for discussion where you can leave your feedback and thoughts on how this pet performs on the battlefield. Our pick for the first Pet of the Month is the Anubisath Idol! This miniature Ahn'Qiraj guardian drops from the Twin Emperors encounter in the Temple of Ahn'Qiraj raid. Max level characters of any item level should have little to no problem clearing to the Twin Emperors, while lower level characters may need the help of a friend or two. Because the zone is considered a raid, players will only be able to clear it once per raid lock-out (resets weekly). During the Twin Emperors encounter you'll be facing two bosses, Emperor Vek'lor (a caster) and Emperor Vek'nilash (a melee). Vek'lor is immune to physical damage, and Vek'nilash is immune to spell damage. The two bosses will occasionally teleport and swap positions with each other. Talk about finicky! They share a health pool and if they are in close proximity of each other during the fight they will heal each other. Traditionally, raids tanked these two bosses on opposite sides of the room to avoid this mechanic, but their self-heal should now be negligible with high enough damage. It's important to note that to be eligible for loot from both bosses, players need to attack each of the bosses at least once during the fight. Clearing the trash mobs leading up to the Twin Emperors encounter is also advised since they will automatically pull once the Twins are engaged in combat. By collecting the Anubisath Idol, you'll be one step closer to completing the achievement Raiding with Leashes. The Anubisath Idol is a great pet to collect if you have your eye on pet battling, because it combines unmatched utility with strong offense. On the offense side of the table is Crush and Demolish. Both are straightforward, very strong nukes, but both have a decreased accuracy to make up for their strength. Crush hits 80% of the time, and since my glass is half full, Demolish hits 50% of the time. If you're a pessimist, this becomes a 50% miss rate. On the defense side of the table is Deflection, which causes you to avoid all offense that turn. 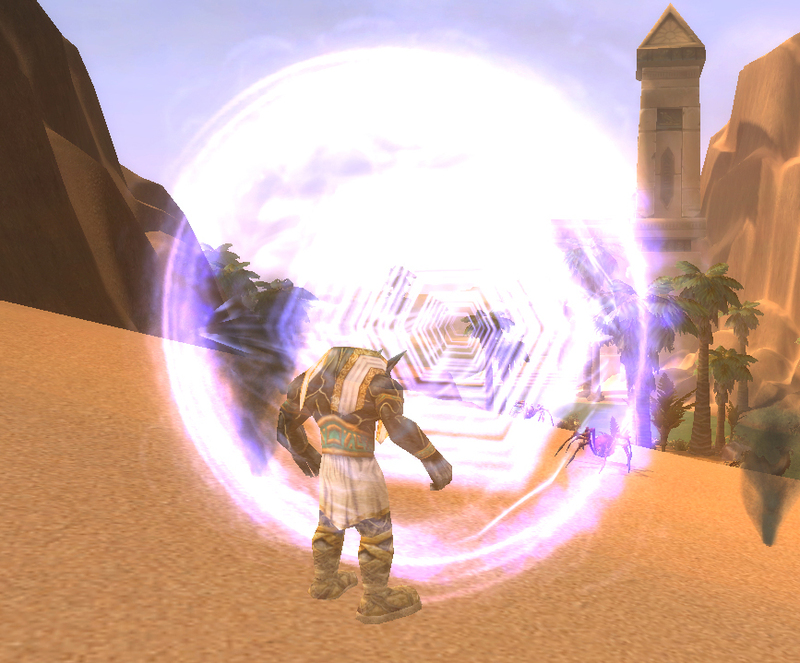 Damage over time spells will tick though, unless you use the Anubisath's other defensive ability, Stoneskin. This makes it so that your Idol will barely feel those DoTs, with a per-tick flat reduction. Use Deflection to counter big hitting moves and Stoneskin to block the smaller ones. Somewhere between offense and defense lies Rupture, which hits just slightly harder than Crush, but has a cooldown and 25% chance to stun. There's also the weather effect Sandstorm, which hits a bit less than Crush, but makes it so that all the pets on both teams get the effect of Stoneskin (with a but — elementals are currently a bit wonky in Sandstorms because of their family ability) and also gives everyone (but elementals) a bit of an accuracy hit. I won't say this pet is an absolute necessity for PVE, but it ticks off an awful lot of boxes across strategies for many different Tamer encounters. As such this pet is really nice to keep in your back pocket, especially as we face the new, unknown tamers of Draenor, and is a good place to start your battling collection. For PVP, currently several of the stronger teams involve either Undead or Beasts, both of which are counters to the Humanoid Anubisath, so he doesn't shine as bright as he once did there, but if you come up against a DoT team, an AoE team or a weather team with this guy, your opponent had better seek shelter, because there's a Sandstorm on the way. Check out our forum thread discussion on the Anubisath Idol and submit your own thoughts on this pet.